Self Care is Lifeblood, Not Luxury | Wake Up, Mama! I no longer expect to be able to pull the energy and peaceful frame of mind I need—for myself and my family—out of thin air. It has to be consciously generated. I’m learning how often, in what ways, and for how long I need to make time for self care and renewal. As February began, I was feeling tired and irritable and so done with ________ (insert normal life item). Everything was fine by all the usual measures, except that I was losing my spark and my sense of humor. Thankfully, I had planned a weekend retreat at Kripalu with friends a few months before. It came around at just the right time. I did the JourneyDance program, which I can only describe as radical self-love and reconnection to spirit through dancing like no one is watching (I mean really like no one is watching—like not even you), in a roomful of beautiful people. Besides A LOT of dancing, there were writing prompts and drawing and singing and inspiring talks by the workshop leaders. The everyday work is finding ways to care for and connect with ourselves inside our busy, blessed lives, and making that commitment. It helps those we love because it means we have more to give, but we are worthy of it in our own right, and that’s reason enough. Cycles are the nature of things, but that doesn’t have to mean riding a giant roller coaster of near total depletion and emergency refilling. I’d rather ride gentler undulations within the sweet spot of my life. That means paying attention and noticing the subtleties of what’s working and what’s not, and making smaller adjustments as I go. And maintenance. You could use the garden analogy. Pulling a few weeds and watering each day doesn’t take long and it keeps everything healthy and beautiful. Let it slide and you will have a parched garden overrun with extra, unwanted stuff to clear out, and a lot of catching up to do. Listening to music I love every day and dancing, even if it’s only for one song. Finding the humor. Asking myself, have I been laughing? If not, something’s off. This may be the best gauge of my mind state. Getting outside a little every day and not letting cold weather deter me. 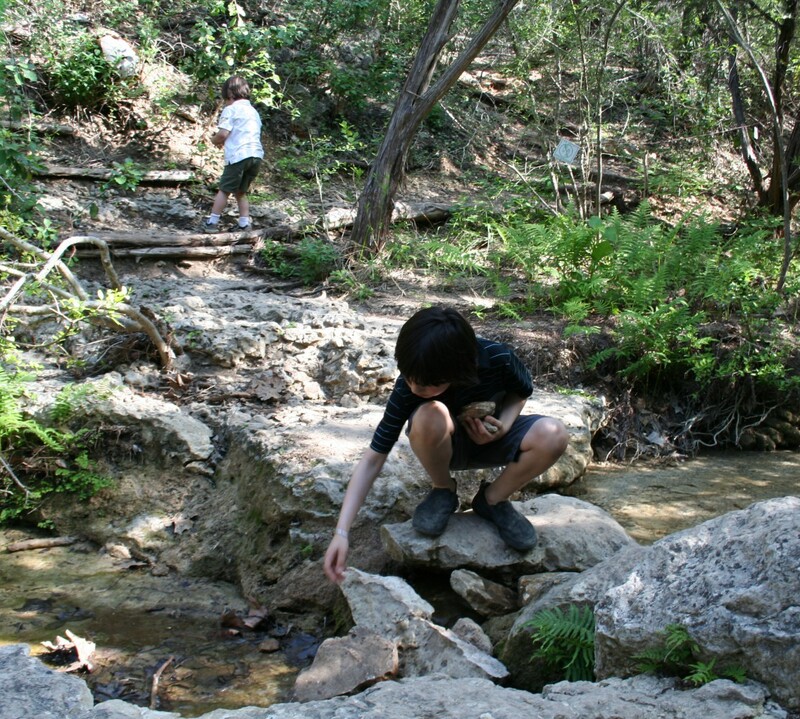 Building hikes into our homeschool every week. Checking in with breath and physical sensation for moments throughout the day. This is the remedy for being “out of body,” always up in my head and scattered, chasing distractions everywhere they pop up. Making more time for connecting with friends and far away loved ones, whether it’s time together in person or a quick phone call to check in. Recognizing when it’s time for an entire day to myself, not just a few minutes or a couple hours. Making it happen. No mama guilt! Read the book Women Who Run With the Wolves by Clarissa Pinkola Estés if you haven’t already, or read it again if you have. After 20 years, I’ve picked up this potent treasure of feminine psychology/spirituality again, and it’s rocking my world just like it did back then—now on a whole new level. It’s very interesting to see what my 24-year-old self underlined. Chapter 9, Homing: Returning to Oneself and the story Sealskin, Soulskin is especially relevant to self care and rejuvenation, and the fact that we all need it, no matter who we are and regardless of how wonderful or difficult our lives are. Love this and you so much! I’m forwarding it to your brother. Love you, too and thanks! Hope you are doing a few things for YOU this week! Oh, Camille! I needed to read this today. Thank you! I hope I get to meet you one day, you seem like a well of awesome positive energy. I am a fellow Rhode Islander and want to homeschool my child as well. Have a fantastic day! Thank you so much, Nadej! I am glad it resonated for you. Check out our homeschool organization at http://www.enrichri.org! Lots of great people, co-op classes, field trips, etc. Love this beautiful, important piece! I’ve learned this one the harder way, by burning out first. Now I know the only way to give is from overflow…and to have overflow I need to consistently feed my body, mind and soul – definitely not luxury! Overflow–that takes it a step further, even. Love that! Pingback: Do Unfinished Projects Keep Us Comfortably Stuck? | Wake Up, Mama!